1. 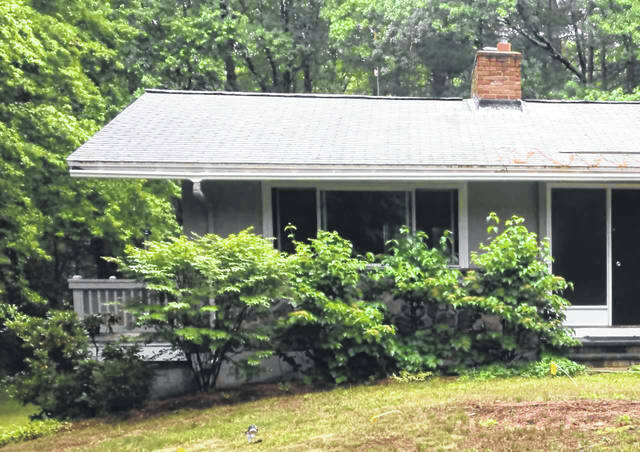 Doing nothing at all: We’re constantly amazed at how many homeowners postpone landscape improvements, even small ones, so that after years or even decades, their houses are still naked. Not a single tree to provide relief from the hot sun. Nothing but weeds and crabgrass and open lawn. We like to say that the best time to plant a tree is 10 years ago. The next best time is today. 2. Beds too small: Making landscape beds is hard work, so most homeowners simply clear a narrow strip along the foundation and plant every plant in the middle of the strip. Since plants vary in size, some will rapidly outgrow the narrow beds and hang over the lawn, become one-sided or rub against the house. How about sizing the beds according to the mature size of the plant? In other words, cut the beds to fit the plant instead of cutting the plant to fit the beds? 3. Micro-landscapes: For many homeowners, landscape projects are something you can start and finish in a single Saturday afternoon, so their landscapes are an assortment of little “islands” of landscaping that don’t have any overall style. We like to say “paint with the big brush first,” meaning that good landscapes have a “backbone” that ties everything together, with the little details filled in later. 4. Plant collections: Many home gardeners bring home plants they fall in love with, or plants given to them by friends and family, or castoff plants, without having any idea where the new plant would fit in the overall landscape. The result is “onesy-twosy” assortments of plants arranged with no rhyme or reason, very often overcrowded, lacking in style, and not flattering to the home. 5. Falling for the “dwarf”: The word “dwarf” is very popular with plant sellers, enticing people to buy “miniature” plants like weeping cherry trees and “burning bush” that grow vastly larger than anyone ever expected. Planting weeping cherry trees just a few feet from the corner of the house is probably the most common mistake in landscaping. “They said it was a dwarf” is the sad refrain. 6. “Stupid Grass”: Narrow strips and corners where the riding mower can’t reach take time and effort to trim by hand. Mowing is much easier if obstacles like utility poles, guy wires, mailboxes, fire hydrants, fences etc. are included inside landscape beds and not dotted around the lawn. 7. Overgrown shrubs and trees: Many plants grow much larger than the space where they’re planted, blocking walks, driveways and windows. Just saying “I’ll trim it back” is doing things the hard way. Plants have a pedigree; you can predict how tall and wide they’ll be when they grow up. Why not simply choose a plant that will fit the space when it’s full grown? 8. Starting too small: Many people don’t expect their plants to survive, so they resist the expense and hard work of planting larger trees and instead plant tiny saplings. We call this “self-fulfilling prophecy,” because these little tykes rarely make it to adulthood, and if they do, they often have structural problems and have to be removed. A related mistake is simply letting “volunteer” trees grow where they happened to sprout. Better to make the investment in a professionally managed nursery tree that’s already strong and shapely (and too big to accidentally mow down). 9. Making a mismatch: Designs that depend on matching pairs or rows of plants are doomed to failure if growing conditions are different. Is the soil, sunlight, soil moisture and fertility exactly the same for each plant? If not, they will never match and it will be obvious. 10. The “toss-up”: Scattering plants around the landscape as if they were tossed in the air and planted where they happened to land is a common mistake. It creates a style-free obstacle course. No plant likes to compete with lawn grass choking it right up to the trunk, but maintaining mulch circles around all those randomly scattered plants rarely happens, so the plants struggle. How to avoid most of these common mistakes? Start by making a simple drawing or plan, and then follow it. Pick the plants AFTER you make the plan, and pay attention to pedigree when buying plants. What size, shape, sunlight and water requirements do you have in each spot? Pick the plant that fits the situation. There are thousands of varieties to choose from. Surely there’s one that will work exactly. 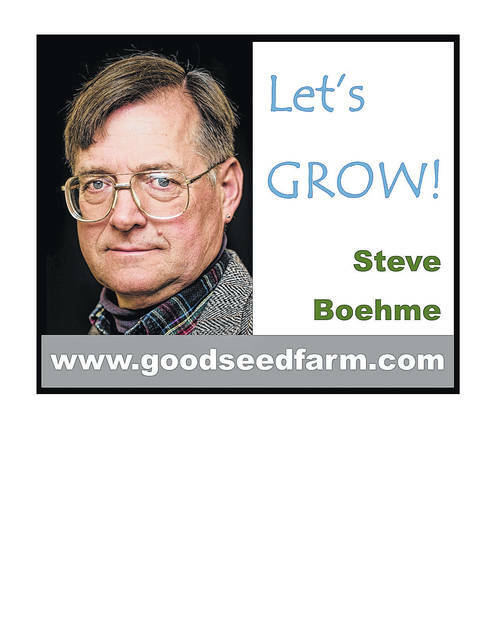 Steve Boehme is a landscape designer/installer specializing in landscape “makeovers.” He can be reached at 937-587-7021 or steve@goodseedfarm.com.